Florida Coalition of Rail Passengers - Restore Amtrak Service New Orleans-Florida! 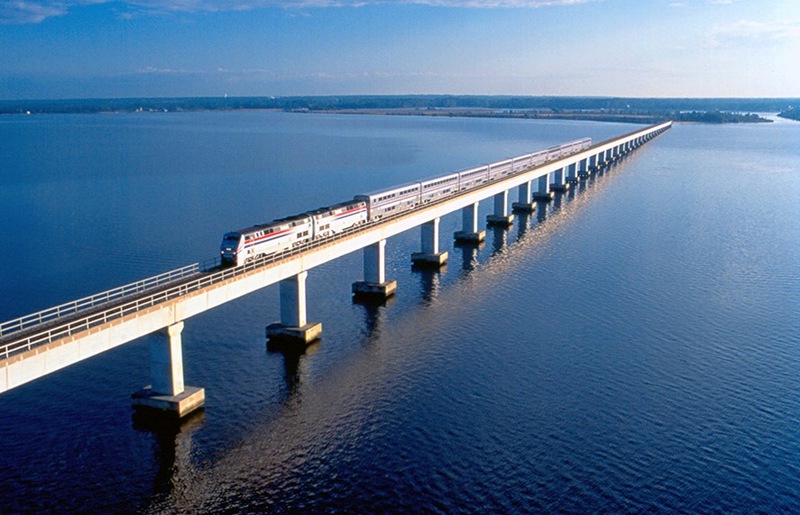 Join the Effort to Restore Amtrak Service New Orleans-Florida! Amtrak service between New Orleans and Orlando has not operated since immediately prior to Hurricane Katrina in August 2005. Hurricane Katrina battered the Gulf Coast. The tracks on which this important passenger service operated were severely damaged. Today, the tracks, signals, and bridges have long since been repaired. However, the trains have not resumed. The Florida cities of Pensacola, Chipley, Crestview, Tallahassee, and Lake City have been entirely without passenger rail service ever since. So too have been other important cities in our region, like Biloxi, MS and Mobile, AL. FCRP urges you to join Mayors, City Councils, County Commissions, Chambers of Commerce, and citizens throughout the state of Florida and the Southeast who are speaking out on this issue. Please call or write Florida's Senators, our Governor, and your Member of Congress concerning this issue today. Tell them that you want passenger train service between New Orleans and Florida restored-- NOW! Amtrak's Gulf Coast Service Plan, a report to Congress on the subject compiled by Amtrak, details what Amtrak believes are the necessary investments which must be made before this service can operate again. The Florida Coalition of Rail Passengers and the National Association of Railroad Passengers--as well as other organizations--have taken exception to the impediments to service restoration which Amtrak has identified in this report, as well as the costs attached to them.